Island Ikaria is centrally located in the NE Aegean Sea between the most popular Greek island groups of the Cyclades and Dodecannese. 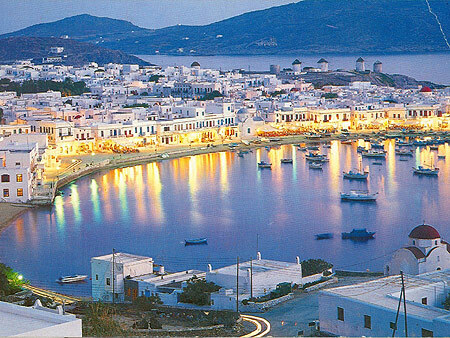 Mykonos, Paros, Naxos, Patmos, Chios, Samos and Fourni are easily reached by direct ferryboat and there are connections everyday during the season. 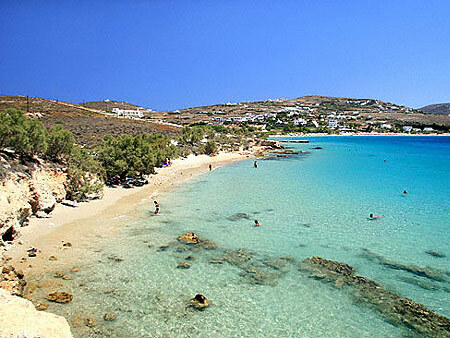 The island is an ideal base for Greek Island hopping in the region. All of the Greek Islands are unique and Ikaria contrasts perfectly with its neighbors. 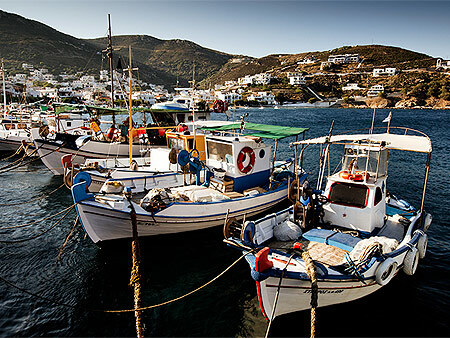 Ikaria affords visitors the opportunity to experience an island seemingly "lost in time" with low-impact tourism, a genuine and authentic Greek Island feel, wild beauty and hospitable people - all at very affordable prices. 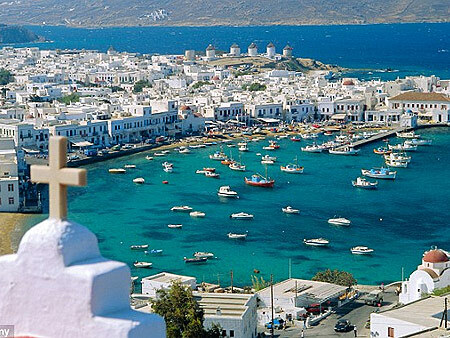 The cosmopolitan and internationally famous island of Mykonos is only 2 hours from Ikaria by ferryboat and during the summer the Nisos Mykonos ferryboat connects the two islands everyday. Combining Mykonos and Ikaria on your holiday is a perfect match if you want to experience the diversity of the Greek Islands. 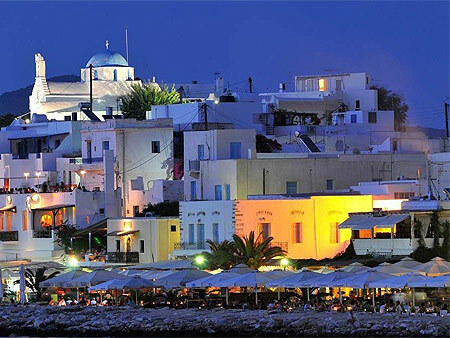 In Mykonos you can party non-stop with models, actors and jet setters, shop for almost anything and in general spend whatever money you have and more. In Ikaria, you can relax and sleep soundly, swim at uncrowded beaches, enjoy the island's incredible nature and outdoor activities, experience traditional Greek Island life and culture and be amazed by the Ikarians' hospitality and laid back way of life. 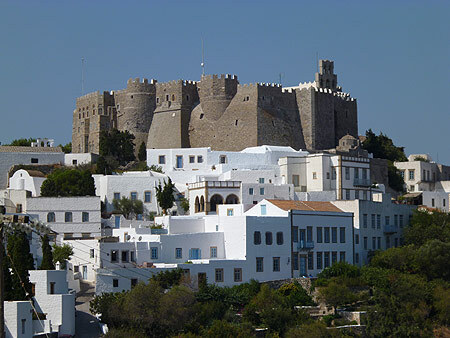 Easily visible from Ikaria and at a distance of just 25 nm, the "Holy Island" of Patmos is a significant Christian pilgrimage site as well as recently becoming a trendy island destination. Its Cave of the Apocalypse is where John of Patmos (St. John the Theologian) is said to have written the Book of Revelations. A fortresslike, 11th-century monastery dedicated to the saint overlooks the whitewashed houses of the hilltop capital, Hora. 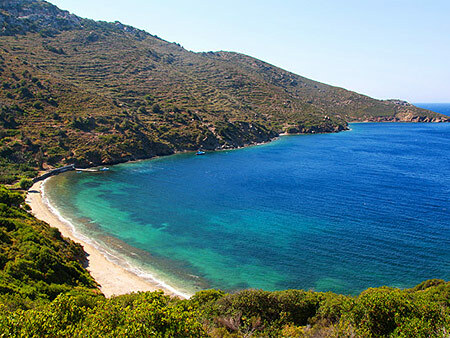 Like Ikaria, Patmos is also an ideal destination for nature lovers thanks to its lace-like coastline, sheer cliffs and volcanic soil, but it is not mountainous or forested like Ikaria is. 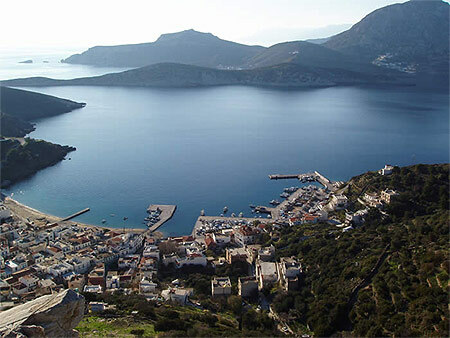 Reaching Patmos from Ikaria is easy and fast via Hellenic Seaway's Nisos Rodos ferryboat which connects Agios Kirikos with Patmos up to 3 times per week in only 2 hours. A second highspeed ferry, the Dodekanisos Pride operated by Dodekanisos Seaways also connects Agios Kirikos to Patmos during the summer in just 1 hour and up to two times per week. 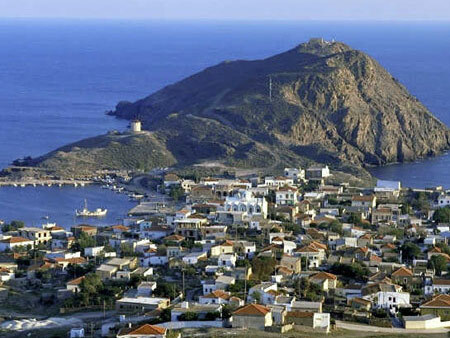 There are also occassional day tours to Patmos operated by the local travel agencies of Ikaria. 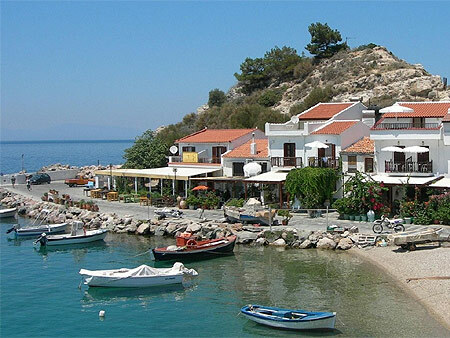 Fourni is a cluster of small islands belonging to the Eastern Aegean and lies south of Samos and Ikaria. Although not widely known, these are islands of great natural beauty with crystal waters and a paradise for relaxation. An ideal base for pirates in the Middle Ages, due to the hundreds of small fjords and hidden beaches where their ships could be concealed, Fournoi were once called �Corseoi Islands�, after corsairs, i.e. pirates. 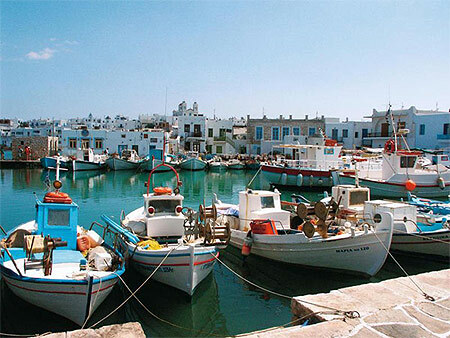 The main town is a peaceful fishing village constructed around a small port and an ideal place for a walk or a dinner at the local fish tavernas. 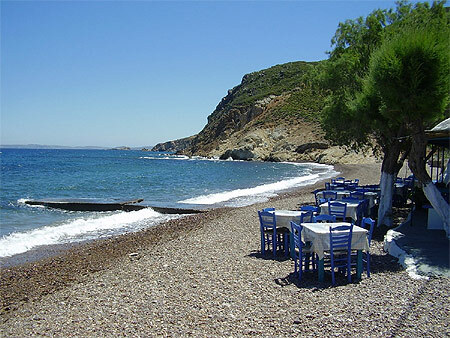 Many people visit Fourni from Ikaria on short trips for the opportunity to eat fresh fish at reasonable prices. 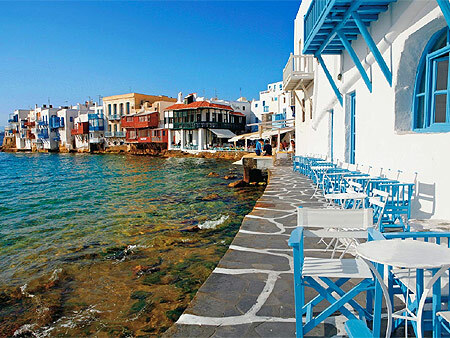 There is a charming main square with a line of tavernas and restaurants on the seafront, many with tree-shaded tables outside. This is Greece as it has been for centuries. From Ikaria you can easily reach Fournoi daily in summer with a number of different ferryboats leaving regularly from the port of Agios Kirikos. It is also possible to go on a Day Sailing Trip to Fourni. Lying just off the Turkish coast and across from Ikaria, Samos is part of the N.E. 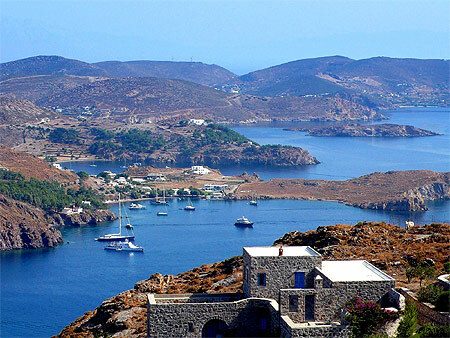 Aegean Islands and a well known destination. 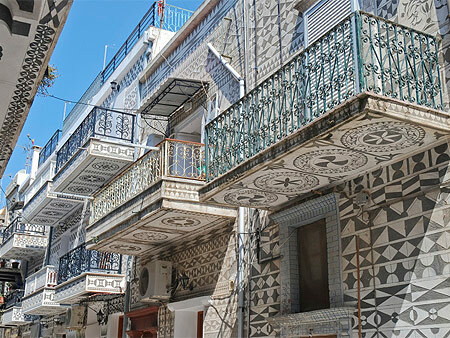 Besides its low-key resorts and the lively capital, Vathy, there are many out of the way beaches and quiet spots in the cool, forested inland mountains, where traditional life continues similar to Ikaria. 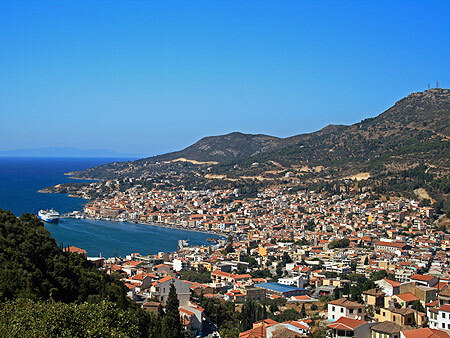 Samos is famous for its sweet local wine (Muscat) and is also historically significant. The island was the legendary birthplace of Hera, and the sprawling ruins of her ancient sanctuary, the Heraion, are impressive and a worth a visit. Both the great mathematician Pythagoras and the hedonistic father of atomic theory, the 4th-century-BC philosopher Epicurus, were born here. Samos� scientific genius is also affirmed by the astonishing 524 BC Evpalinos Tunnel, a spectacular feat of ancient engineering that stretches for 1034m deep underground. From Ikaria you can easily reach Samos daily in summer with a number of different ferryboats leaving regularly from the port of Agios Kirikos. It is also possible to go on a Sailing Trip from Ikaria that will take you to Samos and other nearby islands. Samos is also a gateway island for getting to Ikaria because of its international airport (SMI) that receives charter planes direct from various European cities during the season. Lying to the north of Ikaria at a distance of 40 nm, Chios (hee-os) is one of Greece's larger islands and important in Greek history as the ancestral home of shipping barons. Alongside its rich history dating from the Neolithic Age and including adventures with Saracene pirates and the Turks during the Greek Revolution, Chios also claims to be the birthplace of Homer. Its varied terrain ranges from solitary mountain peaks in the north, to the citrus-grove aristocrat estates of Kampos, near the island's port capital, to the fertile Mastihohoria in the south - the only place in the world where mastic trees are commercially productive. 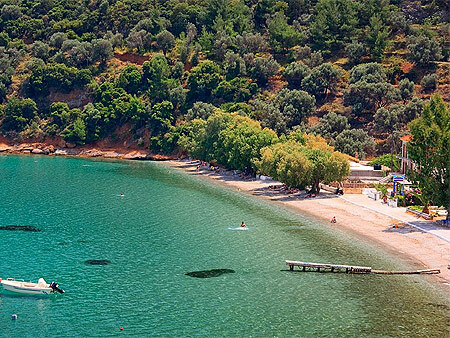 Chios enjoys regular boat connections throughout the northeastern Aegean Islands and to the lively Turkish coastal resorts just across the water. The island also has an airport. From Agios Kirkos port in Ikaria you can easily reach Chios three times per week in summer via Hellenic Seaways' Nisos Rodos ferryboat. The journey takes 5 hours. Unrivalled natural beauty, beaches with crystal clear waters, and breathtaking landscapes make P�ros, located just 5 hours by ferry boat from Ikaria, a popular holiday destination. Its stylish capital, fashionable resort towns and sweet rural villages are charming. Parik�a, the capital of P�ros, is a beautiful Cycladic village with whitewashed cubic houses and impressive neoclassical mansions. A well preserved 13th century Venetian castle stands proudly on a hill at the centre of the village offering an amazing view. In the capital you can also admire an important ecclesiastical monument, the 6th century church of Panayia Ekatontapyliani. The Parik�a Byzantine Museum and Archaeological Museum displays exhibits and rare artifacts from the island's important history and monuments dating from the Classical Period. The island is also interesting from a geological perspective. White marble drawn from the island's interior made the island prosperous from the Early Cycladic period onwards. The marble quarries at Mar�thi, where the famous Parian marble used to be extracted, were in operation from the 3rd millennium BC up to the 19th century and can be visited. From Agios Kirkos port in Ikaria you can easily reach Paros three times per week in summer via Hellenic Seaways' Nisos Rodos. The journey takes 5 hours. 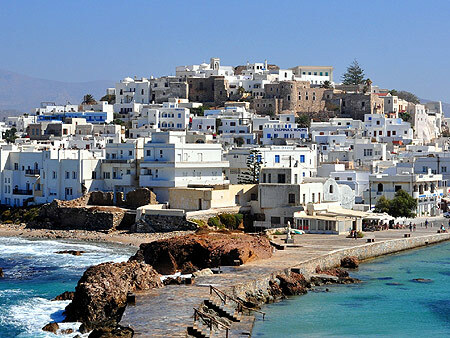 The largest of the Cyclades and only 4 hours from Ikaria by ferry boat, Naxos has much to offer. Its fertile landscape spans mountain villages, ancient ruins and long stretches of beach. The namesake capital, Hora), is a port town filled with whitewashed, cube-shaped houses and medieval Venetian mansions. Hora is a web of steep cobbled alleys, filled with the hubbub of tourism and shopping and its "Kastro", a hilltop castle dating to the 13th century, houses an archaeological museum. 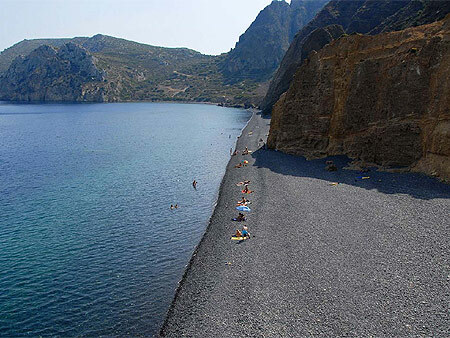 From Hora you needn't travel far to find isolated beaches, atmospheric villages and ancient sites. 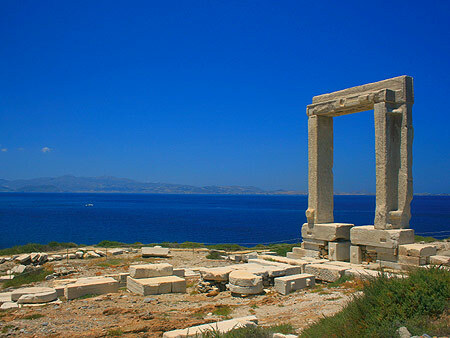 Naxos was a cultural center of classical Greece and of Byzantium, while Venetian and Frankish influences have left their mark. It is more fertile than most of the other Cyclades islands and produces olives, grapes, figs, citrus fruit, corn and potatoes. Mt Zeus (1004m) is the Cyclades' highest peak and is the central focus of the island's interior where you will find enchanting villages. From Agios Kirkos port in Ikaria you can easily reach Naxos three times per week in summer via Hellenic Seaways' Nisos Rodos. The journey takes 4 hours.